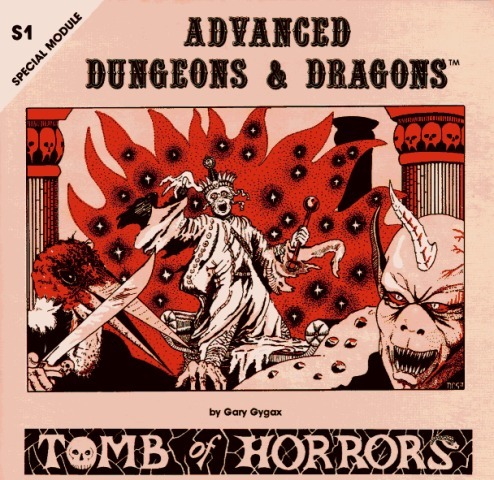 If you ask any veteran D&D player about the most unforgiving or harrowing adventure they've had, you'll likely hear Tomb of Horrors mentioned more than once. Originally published in 1978, the Tomb of Horrors is one of the most well known dungeon written by D&D progenitor, Gary Gygax. It is an unforgiving labyrinth of traps and monsters that spelled the end of innumerable characters. It was feared by players, revered by DMs and known even by those who didn't play D&D. And now it is back again in two forms for 5th edition. 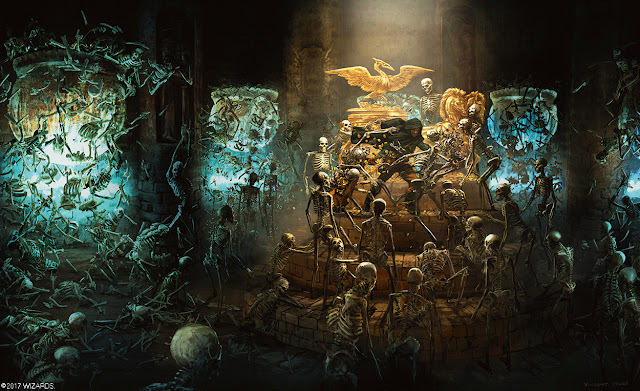 The Tomb of Horrors is seen by many as a sort of rite of passage for D&D players, a punishing test of might for any character, no matter how min/maxed they are. It's been republished again and again over the years, and I though I've played it in 2nd through 4th edition, it wasn't until 4th edition that I actually got through to the end of it. 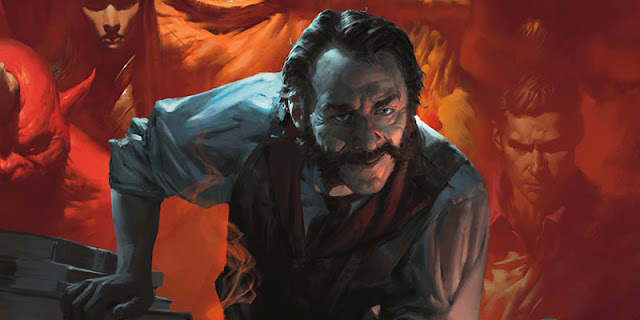 The 5th Edition version is available in the Tales From the Yawning Portal, a collection of 7 classic dungeons meant to be sprinkled in here are there throughout the course of a normal campaign. While Tomb of Horrors rightfully occupies top billing, every one of the dungeons in the book are classics. The Hidden Shrine of Tamoachan was the first proper module I played, and it is really exciting to see it back. The really exciting news though is the announcement of the latest adventure path; an adventure for characters of 1st to 11th level called the Tomb of Annihilation. Principally designed by DM to the stars, Chris Perkins along with Will Doyle and Steve Winter with story help from Pendleton Ward, creator of Adventure Time, Tomb of Annihilation draws heavily from the Tomb of Horrors. In an interview with Polygon recently, Perkins notes other inspirations include Indiana Jones. The adventure is set in Chult, a jungle region of the Forgotten Realms, home to dinosaurs and dense jungles. The opening premise involves something called the Death Curse, a wasting disease that affects those who have been resurrected in the past. It slowly drains away their life, leaving them a mummified husk. On top of that, no one is able to be resurrected upon death at all. As Perkins puts it, this really ups the stakes for the players. Each death means a new character has to be rolled. It's a rough deal, but I've always found that players are often at their most inventive when faced with the complete loss of a beloved character. Tomb of Annihilation is due out in September, so we'll have to wait until then to try it out. However, the Tales from the Yawning Portal is out and ready for you to incorporate into your next game. I really wish that I didn't already have a carefully built and planned out world for my current group of players, as I'd love to run the Tomb of Annihilation with them. If it is anything like what Perkins describes (a pulp-noir adventure in the Forgotten Realms) it is sure to be well worth a playthrough.